ESPN was previewing the upcoming National Signing Day, the first day when graduating high school football players can sign a binding “letter of intent” to attend a particular college. For college football fans, it’s a big day. Watching the exuberant coverage, something struck Kamentz. “It blows my mind that we celebrate athletics this way, but we don’t have anything that celebrates academics in the same way,” he said. And the students at their school—primarily kids from low-income Hispanic families—deserved celebrating. Many of them would be the first in their families to graduate from high school. Barbic had founded a school to serve those students. He’d grown disillusioned teaching sixth grade at a local elementary school. “I saw way too many of my students head off to the local junior high excited about school and eager to pursue their dreams, only to return a few months later with that light in their eyes totally gone.” They would come back to visit him, telling stories of gangs, drugs, pregnancies. It crushed him. He knew he had two choices: Quit teaching to spare himself. Or build the school that those students deserved. So in 1998, Barbic founded YES Prep. And Donald Kamentz was one of the first people he hired. In the pub that night, as they watched the Signing Day preview, they had a sudden inspiration: What if we created our own “Signing Day,” when our students would announce where they will attend college? The event would allow them to honor all graduating seniors, since it was a condition of graduation at YES Prep that every student apply and be accepted to college, even if they ultimately chose not to attend. Each of the seniors took the stage, announcing where he or she would be attending college in the fall: “My name is Eddie Zapata, and in the fall, I will be attending Vanderbilt University!” They would unveil a T-shirt or pennant with their chosen school’s insignia. Many of the students kept their final school decision a secret from friends, so there was suspense in the air. After each announcement, the room erupted with cheers. Later, the students would sit at a table, with their families crowded around them, and sign letters of matriculation, confirming their enrollment in the fall. Barbic was struck by the emotion of the “signing” moment: “It hits home—the sacrifices that everybody had to make for their kids to get there. No one did it alone. There were lots of people involved.” By the end of the ceremony, there were few dry eyes in the room. One of the graduating seniors was Mayra Valle. Six years after she imagined being on that stage, today was her day. “Good afternoon, everybody, my name is Mayra Valle,” she said, breaking into an enormous smile. “And this fall I will be attending CONNECTICUT COLLEGE!” The school was ranked one of the top 50 liberal arts colleges in the country. The peak-end rule holds true across many kinds of experiences. Most of the relevant studies tend to focus on short, laboratory-friendly experiences: watching film clips, enduring annoying sounds, etc. On longer time frames, peaks continue to matter but the relative importance of “endings” fades somewhat. Beginnings matter, too: When college alumni were asked about their memories from college, fully 40% of those memories came from the month of September! And beginnings and endings can blur—if you change cities for a new job, is that an ending or a beginning or both? That’s why it’s preferable to talk about transitions, which encompass both endings and beginnings. There’s something odd about the hotel’s ranking, though: If you flipped through the photos of the resort online, you would never conclude, “That’s one of the best hotels in L.A.” An interior courtyard features a pool that might qualify as Olympic size, if the Olympics were being held in your backyard. The rooms are dated, the furnishings are spare, and most walls are bare. In fact, even the word hotel seems like a stretch—the Magic Castle is actually a converted two-story apartment complex from the 1950s, painted canary yellow. Let’s start with the cherry-red phone mounted to a wall near the pool. You pick it up and someone answers, “Hello, Popsicle Hotline.” You place an order, and minutes later, a staffer wearing white gloves delivers your cherry, orange, or grape Popsicles to you at poolside. On a silver tray. For free. But we tend to ignore this truth. We’re not very good at investing in such moments. For example, a teacher plans his history curriculum for a semester, but every class period gets roughly the same amount of attention. There’s no attempt to shape a few “peak” moments. Or an executive leads her company through a fast-growth period, but there’s little to distinguish one week from the next. Or we spend weekend after weekend together with our kids, but in memory all those times blend together. For the sake of this book, a defining moment is a short experience that is both memorable and meaningful. (“Short” is relative here—a month might be a short experience in the span of your life, and a minute might be short in the context of a customer support call.) There may be a dozen moments in your life that capture who you are—those are big defining moments. But there are smaller experiences, such as the Popsicle Hotline, that are defining moments in the context of a vacation or a semester abroad or a product development cycle. ELEVATION: Defining moments rise above the everyday. They provoke not just transient happiness, like laughing at a friend’s joke, but memorable delight. (You pick up the red phone and someone says, “Popsicle Hotline, we’ll be right out.”) To construct elevated moments, we must boost sensory pleasures—the Popsicles must be delivered poolside on a silver tray, of course—and, if appropriate, add an element of surprise. We’ll see why surprise can warp our perceptions of time, and why most people’s most memorable experiences are clustered in their teens and twenties. Moments of elevation transcend the normal course of events; they are literally extraordinary. PRIDE: Defining moments capture us at our best—moments of achievement, moments of courage. To create such moments, we need to understand something about the architecture of pride—how to plan for a series of milestone moments that build on each other en route to a larger goal. We’ll explore why the “Couch to 5K” program was so successful—and so much more effective in sparking exercise than the simple imperative to “jog more.” And we’ll learn some unexpected things about acts of courage and the surprising ripple effects they create. CONNECTION: Defining moments are social: weddings, graduations, baptisms, vacations, work triumphs, bar and bat mitzvahs, speeches, sporting events. These moments are strengthened because we share them with others. What triggers moments of connection? We’ll encounter a remarkable laboratory procedure that allows two people to walk into a room as strangers and walk out, 45 minutes later, as close friends. And we’ll analyze what one social scientist believes is a kind of unified theory of what makes relationships stronger, whether the bond is between husband and wife, doctor and patient, or even shopper and retailer. Defining moments often spark positive emotion—we’ll use “positive defining moments” and “peaks” interchangeably throughout the book—but there are categories of negative defining moments, too, such as moments of pique: experiences of embarrassment or embitterment that cause people to vow, “I’ll show them!” There’s another category that is all too common: moments of trauma, which leave us heartbroken and grieving. In the pages ahead, we’ll encounter several stories of people dealing with trauma, but we will not explore this category in detail, for the simple reason that our focus is on creating more positive moments. No one wants to experience more moments of loss. In the Appendix, we share some resources that people who have suffered a trauma might find helpful. Defining moments possess at least one of the four elements above, but they need not have all four. Many moments of insight, for example, are private—they don’t involve a connection. And a fun moment like calling the Popsicle Hotline doesn’t offer much insight or pride. • ELEVATION: A love letter. A ticket stub. A well-worn T-shirt. Haphazardly colored cards from your kids that make you smile with delight. • INSIGHT: Quotes or articles that moved you. Books that changed your view of the world. Diaries that captured your thoughts. • CONNECTION: Wedding photos. Vacation photos. Family photos. Christmas photos of hideous sweaters. Lots of photos. Probably the first thing you’d grab if your house caught on fire. All these items you’re safeguarding are, in essence, the relics of your life’s defining moments. How are you feeling now as you reflect on the contents of your treasure chest? What if you could give that same feeling to your kids, your students, your colleagues, your customers? Moments matter. And what an opportunity we miss when we leave them to chance! Teachers can inspire, caregivers can comfort, service workers can delight, politicians can unite, and managers can motivate. All it takes is a bit of insight and forethought. This is a book about the power of moments and the wisdom of shaping them. I. It may not have escaped your attention that if you swap the order of Insight and Pride, you get a handy acronym: EPIC. We have mixed feelings about this. An acronym, in a book like this, boosts memorability at the cost of some cheesiness. In the past, we have happily embraced that trade, having used two acronyms in previous books to help people recall the relevant frameworks. In this case, we have decided against it. For one thing, we’re not advising you to pursue “epic” moments. Some of the stories you’ll encounter do fit that description, but many others are small and personal, or painful but transformational. Epic seems too grandiose and too shallow all at once. Also, and this is a personal failing, we can’t read the word epic without imagining it being spoken by a stoned surfer dude. (You see what we mean now, don’t you?) So, bottom line, if the EPIC acronym helps you remember the four elements, please keep it with our compliments. But this is the last time we’ll mention it. Dan Heath is a senior fellow at Duke University’s CASE center, which supports entrepreneurs fighting for social good. He lives in Durham, North Carolina. 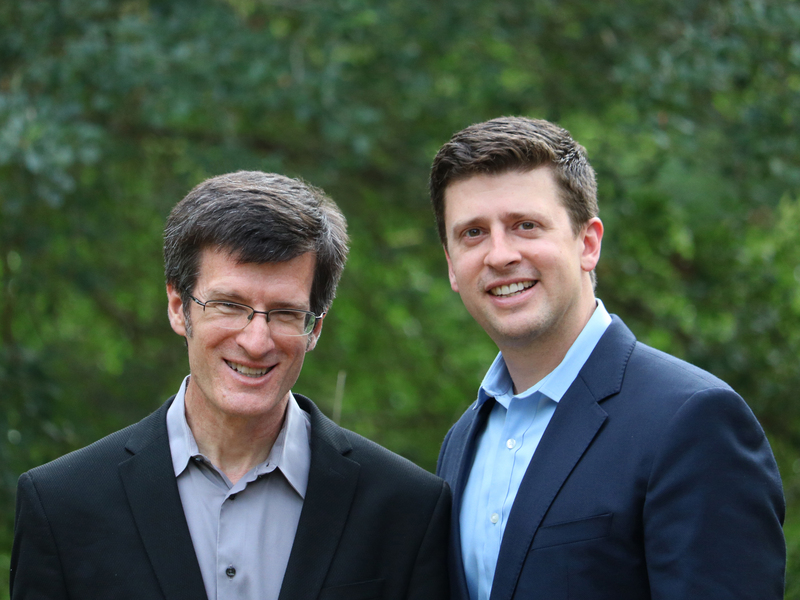 Dan and his brother Chip have written three New York Times bestselling books: Made to Stick, Switch, and Decisive. Their books have sold over two million copies worldwide and have been translated into thirty-three languages including Thai, Arabic, and Lithuanian. 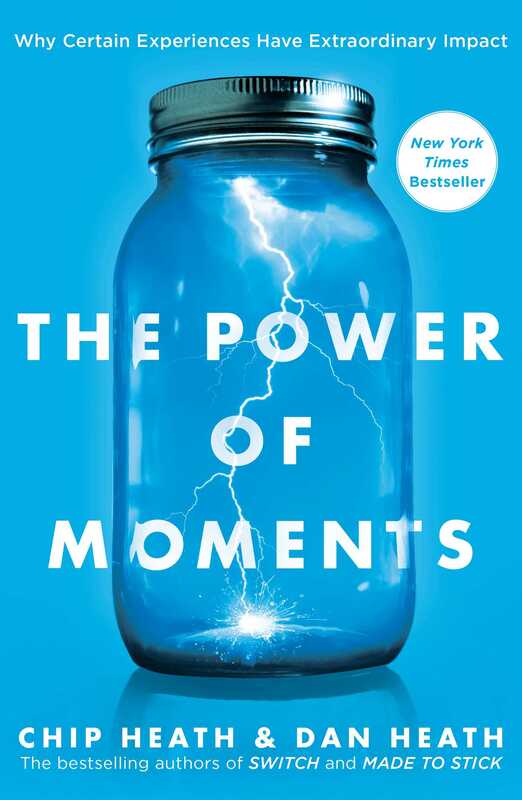 The Power of Moments is their most recent book.